Categories can be deleted at any time. Note that this will affect all shifts, past and future, that are currently set to that Category, with those shifts being set back to Category designation of NONE. 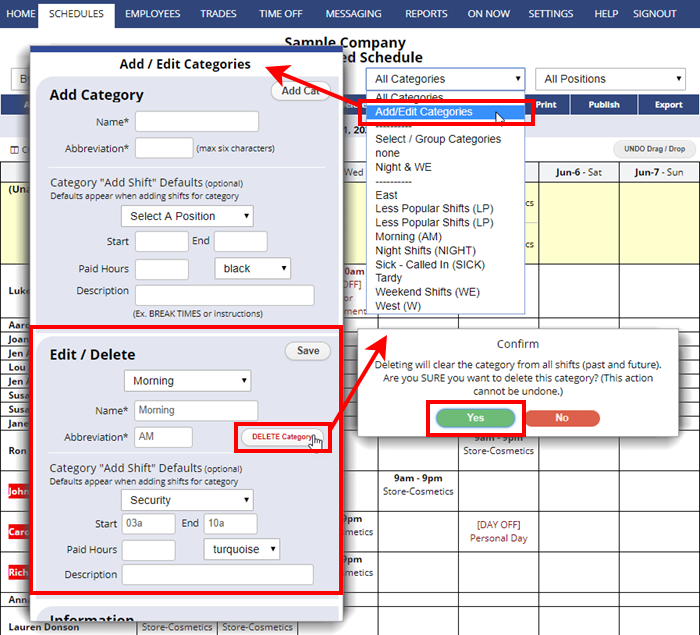 There is no way to “undo” deleting Categories, so confirm that you do want to remove the Category designation from all shifts before proceeding. In the bottom of that window under Edit/Delete, choose the Category to delete in the dropdown menu. You will see a confirmation that the Category will be deleted in our overnight update.